Rick Lance Voice Acting News: Is the Announcer Voice Really Dead? I’ve talked before about some of the different types of voice over – narrator, video game, etc. Another of these, and one that has been around for a long time, is the announcer voice. This is that familiar, sales-pitchy “voice of God” style that you’ve undoubtedly heard. But have you noticed that you don’t hear that style of VO as much as you used to? If you have, then you’re not imagining it. There has been a definite shift in the VO industry, and the announcer voice isn’t the norm anymore. But is it really dead? The answer to that question is yes and no. 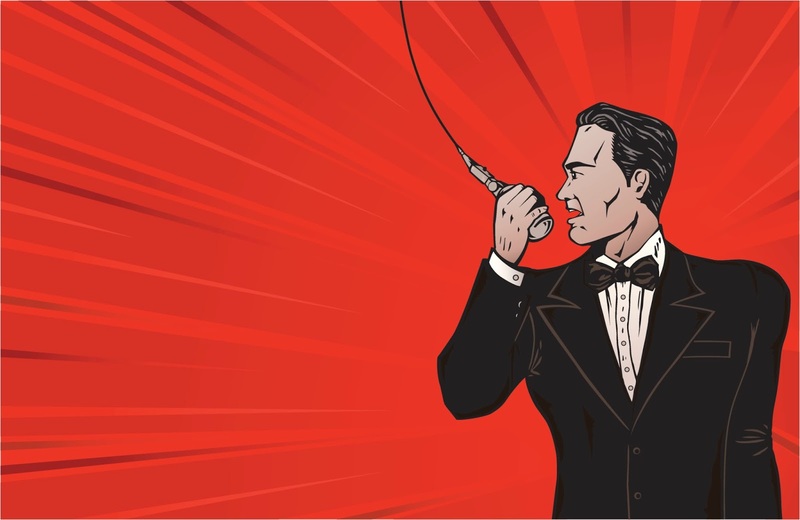 While there is undeniable evidence that the announcer voice is used less and less frequently, there are some interesting factors at play about why this is happening and what the future holds for this traditional style of VO. Let’s look first at why this style of voice over is declining. In the past, the announcer voice was valued for its confident, self-assured style that could sell just about anything. Now, however, audiences (and especially those in the coveted 18-30 demographic) don’t want to be sold to. They want to be talked to, and they want it in a non-salesy, conversational manner. The announcer voice smacks of corporate dominance, and for millennials, this is a huge turn-off. Because of this, there has been a move to voice overs that are more conversational in nature. This style is much more appealing to younger generations, which is who the majority of advertisers are trying to reach. Again, though, the question is raised – is the announcer voice dead? Not quite. While some may argue that it’s dying, it’s not quite dead yet. There’s still a large segment of society that appreciates and responds to the announcer style in advertising. And, more importantly, it’s the older generations who value this style that have the buying power right now in America. Millennials are more unemployed and underemployed than ever; they have less money and are more reluctant to spend what they do have. Data like this is what marketing strategists take note of, which may ultimately change the way they communicate with consumers. And once this happens, it won’t be too surprising if we see a return in the familiar confidence of announcer style voice over.